Don’t let your battery drop below 20% of a charge. The easiest way to do this is to take advantage of many computers’ default battery-saving mode that dims the screen and recommends you shut down a few programs. 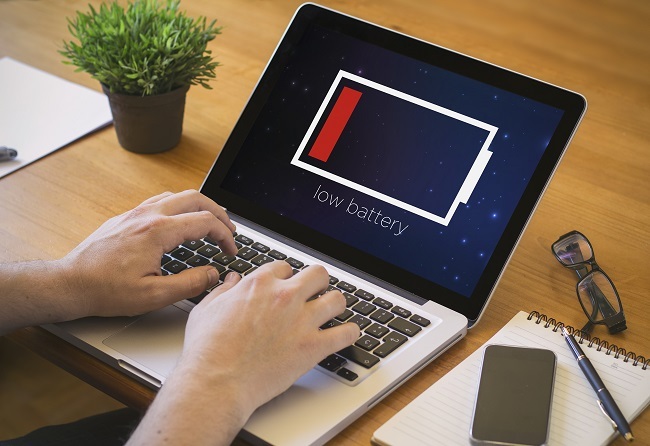 Each time your battery gets too close to 0%, you risk diminishing the capacity the battery (if you have an older laptop) or slowly lowering the estimated of full charging cycles your hardware has in it. Always have a backup power cord with you. Even better, get a backup battery pack that charges both your laptop and your phone. There’s no guarantee that you’ll be near a power outlet when you get the warning. Heat is hard on every part of your computer, and the battery is no exception. Even though your laptop is called a laptop, keep it on a flat surface that doesn’t block the vents. Also try to avoid leaving it in your car during the summer. Computers have so much more capacity than they used to that it’s easy to have them do too much at once. But if you have a lot of programs running in the background, they’re going to eat through your battery power. Some sneaky programs don’t even turn off when you fold down your screen. Just like you have to clean every new computer off bloatware, uninstall everything that’s costing you too much battery life. Go to 123PCSolutions for more ways to make every part of your computer last longer.